Mew from Marcia Layton Designs. 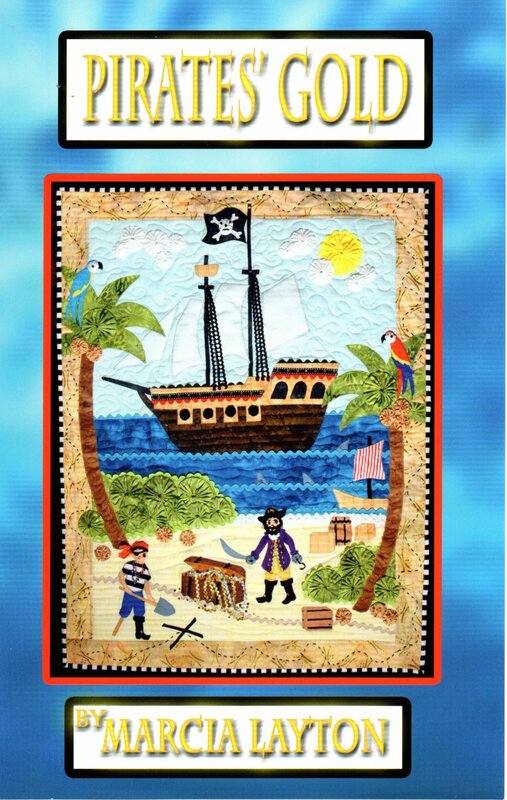 Whimsical wall hanging featuring pirates, parrots and an overflowing treasure chest. Created using fusible applique, yo-yo's, ribbons and trims.